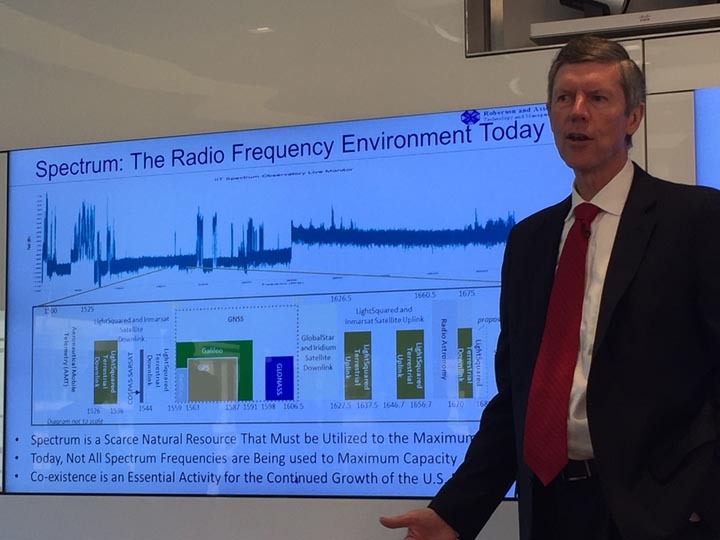 Federal officials have released a draft of their plan to determine the amount of interference satellite navigation receivers can tolerate from users in neighboring frequencies. The tests, proposed after the Federal Communications Commission (FCC) froze a controversial wireless broadband system, would accelerate research on GNSS receivers that process signals from multiple satellite constellations. 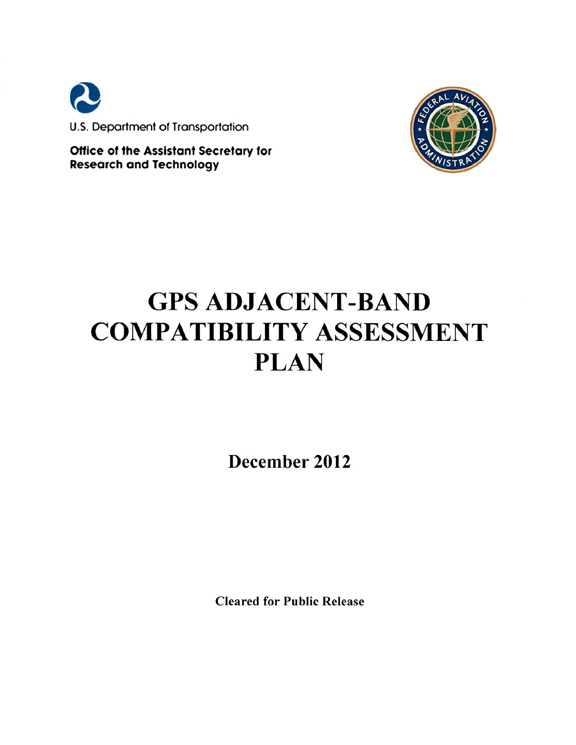 The release of the draft plan for the Department of Transportation (DoT) Adjacent Band Compatibility (ABC) Assessment by the Office of the Assistant Secretary for Research and Technology comes more than four months after a June workshop was delayed because the plan was not ready. According to the current ABC timeline, that workshop will be held in Washington, D.C., October 2, before the end of the 30-day comment period for the plan, said a DoT spokesperson. However, funding issues are delaying announcement of a specific workshop date, and political disputes in Congress could force a government shutdown starting October 1, further complicating the schedule. The new plan still calls for two phases of testing: currently deployed receivers and then, later on, receivers being developed to be brought to the market in the future. During the first phase DoT proposes to test seven types of receivers as it works out the levels of interference — or interference tolerance masks (ITM) — at which receivers can still operate for frequencies stretching for 100 megahertz on either side of the L1 center frequency of 1575.42 MHz (i.e., from 1475 MHz to 1675 MHz). The receivers to be tested include non-certified aviation devices as well as cellular, general location/navigation, high precision, timing, networks, and space-based receivers. Military receivers are not included in the DoT effort. The Federal Aviation Administration will be developing masks for certified aviation receivers. The devices to be tested by DoT will be chosen based on their applications and importance, which might be judged by how they are used, the number of that model of receiver in use, and other factors such as economic importance. One of the changes from the Phase 1 test plan proposed in 2012 is the inclusion of currently deployed GNSS receivers, that is, devices using signals from multiple satellite navigation constellations. Initially such receivers were to be studied in the second, more future-oriented part of the two-phase testing process. To support its efforts DoT says it will ask to manufacturers for information on the nature and scope of each receiver’s usage as well as technical data. The information being requested, which will be protected under nondisclosure agreements, includes details on the GNSS receivers’ front-end designs and on integrated receiver/antenna systems. Examples of the types of information to be requested include the number of amplification and filtering stages, the one-decibel gain compression point for the low noise amplifier (LNA), and frequency-dependent antenna gain. DoT plans to rely primarily on radiated emissions testing, although it also intends to use conducted emissions tests. It also plans to look at the combined impact of having two signals operating at the same time. The nonlinearities found in the front end of GNSS receivers, the agency noted, can lead to the generation of a third powerful interfering signal. Responses from interested industry participants in the debate followed predictable courses. “We are reviewing the test plan and look forward to working with the DoT and interested parties to drive a consensus around compatible uses of the spectrum adjacent to GPS,” a representative of the GPS Industry alliance told Inside GNSS. "Instead of developing a plan to enable technological advancement and spur spectrum innovation, the DoT is proposing to set limits on spectrum use by promoting the continued use of outdated filter technology in receivers," said Ashley Durmer, a company spokesman for LightSquared. "It has taken DoT almost four years to propose a vague study that is absent procedures or timelines and will not answer the critical question of whether wireless broadband would cause any actual harm to the accuracy of GPS devices. In contrast, Roberson & Associates is investigating that critical data and analysis now." The new test plan can be found here, and the 2012 test plan, here. Interested parties may submit comments in four ways. Here is the link to the Federal Register notice that has all the filing information.